Our expert builders and damp proofing specialists will help you transform your basement into a brand-new living space with a bespoke basement conversion. Basement conversions are rapidly growing in popularity as families look to utilise their available space at a fraction of the cost of moving. If you have a basement under your property, our team can help you create a beautiful new habitable space that can be used for almost any purpose. If you are considering a basement conversion in Dorset or Hampshire, don’t hesitate to contact our team for a quote. 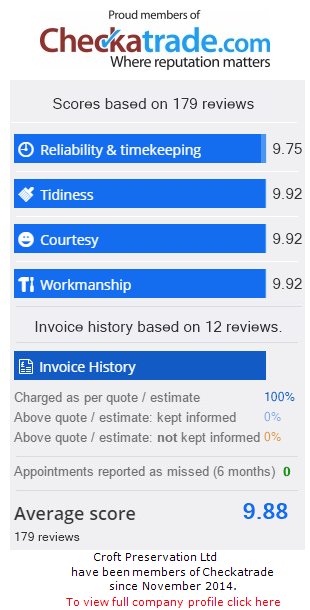 Our pricing is always up-front and honest, with no hidden costs – call us today on 01202 737739. Why should you consider a basement conversion? One of the top reasons people choose to move to a new house are related to a lack of usable living space. Perhaps your family has grown too large for your property but moving is an unrealistic prospect either due to costs or being in an ideal location already. If you have an unused basement below your property, this is an excellent opportunity to give yourself some extra space, for a fraction of the cost of moving. Not only will a basement conversion benefit you whilst you live there, but it’s also likely to increase the overall value of your property when you come to sell, too. To discuss your basement conversion requirements, don’t hesitate to contact our team of experts; we can handle every stage of the project, from waterproofing through to decoration. Don’t hesitate to get in touch today. Modern building methods can help you put your basement to better use. Croft Preservation is here to help you create a fantastic new home office, gym, bathroom, bedroom, living room or any type of room; the possibilities are endless thanks to the flexibility of a basement conversion. If you are unsure of the suitability of your basement for conversion, our experts can easily assess its structural integrity and help you decide on the most suitable course of action. We are proud of our ability to meet all of your basement conversion requirements, and can effectively waterproof or tank your basement to ensure you don't encounter any damp problems. Contact our basement conversion experts in Dorset and Hampshire! Our experienced team have delivered countless basement conversions over the last 30 years, helping to waterproof and protect the newly formed internal space in properties across Bournemouth, Poole, Dorset and Hampshire. Investing in a basement conversion could not only add value to your home but give you the extra space you need. Contact our basement conversion specialists on 01202 737739 to discuss your requirements with us and arrange a free quote. We are proud to offer basement conversions to a number of locations across Dorset & Hampshire, including: Bournemouth, Blandford, Chandler's Ford, Christchurch, Dorchester, Lymington, New Forest, New Milton, Poole, Purbecks, Ringwood, Romsey, Salisbury, Southampton and Wimborne.